The greatest challenge DCBolt faced with this project was network related. It required heavy bandwidth to dynamically pull and display multiple data feeds and content sources at the same time. 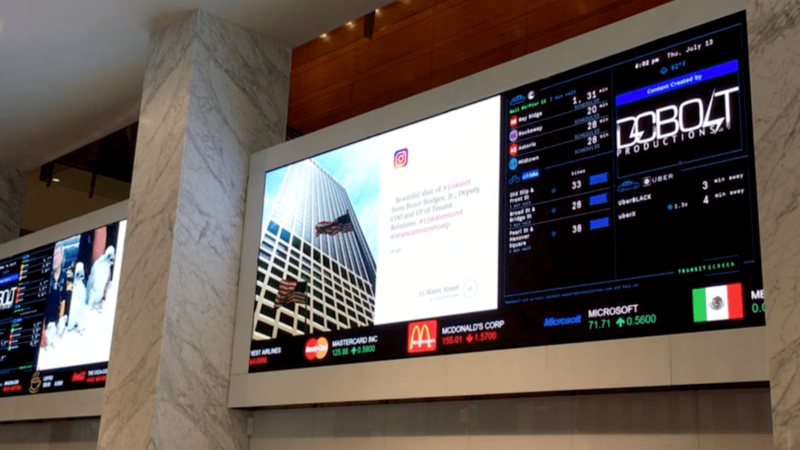 Another challenge came from the custom stock ticker. 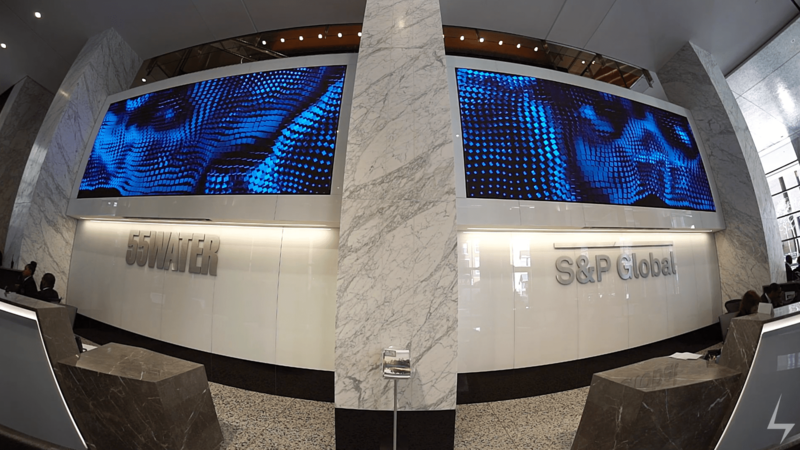 as to date, there has not been a stock ticker produced at such a high resolution. The requirement was a custom program that integrated high-resolution logo assets and variable speed adjustments to account for the size and resolution of the canvas. Thanks to Signagelive’s built-in features, flexibility and cloud-based management tools, the development of this system was much simpler and straight forward than other CMS alternatives. Signagelive is the ideal CMS solution for the 55 Water lobby installation not only because it’s the most cost-effective CMS on the market but it also includes all the bells and whistles necessary to control, schedule and customise this unique canvas however, whenever and from wherever we want. DCBolt Productions continue to deliver prestige high impact Signagelive solutions that show the power and adaptability of our digital signage platform. 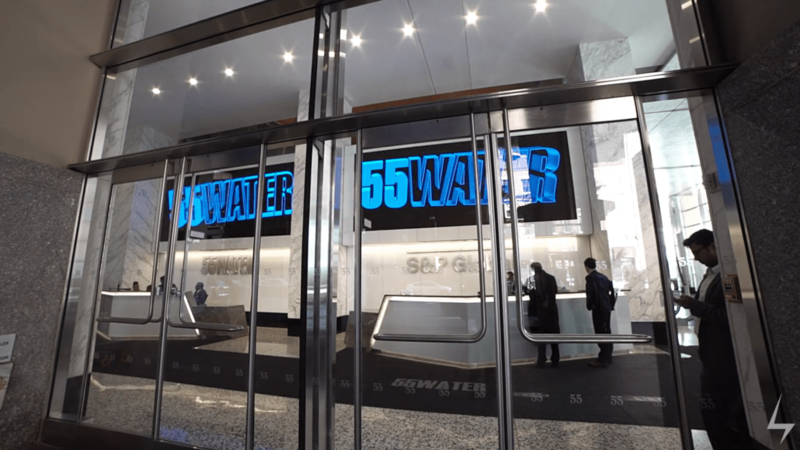 The 55 Water project delivers the first 8K solution powered by Signagelive representing another milestone in the growth of our business and partnership with DCBolt Productions.